Lexus helped open the Detroit Auto Show this year, giving the auto industry a view of its updated 2020 RC F, as well as a special Track Edition. Updates to the RC F include a remodeled grille and rear bumper, new taillights, and updated headlights with stacked LEDs. A re-tuned suspension gives the car nimbler handling, Lexus assures us, and the naturally aspirated 5.0-liter V8 engine now produces 472 hp and 395 lb-ft of torque. Lexus’ limited-production Track Edition of the model is an interesting beast: the model variation aims to equip the hobbyist track driver while remaining street-legal, so it got a lot of attention in Detroit this year. Designed with the guidance of Lexus racing teams, the track-ready model boasts a front splitter, roof, hood, and bumper reinforcement all crafted from carbon fiber. The RC F Track Edition can make the zero-to-60 mph leap in just 3.96 seconds when Launch Control is activated. Brembo carbon ceramic brake rotors and 19-inch BBS forged alloy wheels are also unique to the Track Edition. 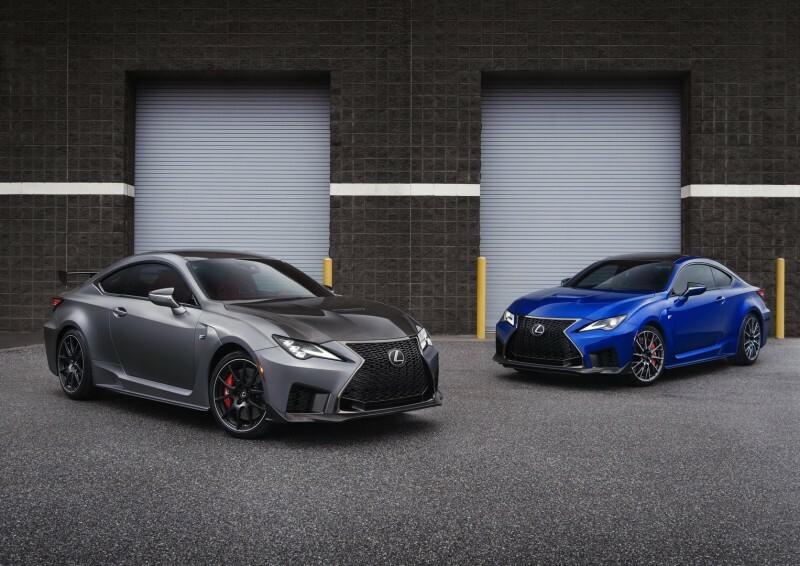 It’s also about 175 pounds lighter than the old RC F.
Both variants will be available in the second half of this year. Pricing TBA.